Ever wonder what the average daily ridership on Shenzhen Metro is? Well, the folks over at EyeShenzhen have released a number: 4.28 million, which accounts for over 40 percent of public transport in Shenzhen. The publication of the ridership statistic comes a day after the Shenzhen Metro Group (SZMC) – the subway’s operator – celebrated it’s 20th anniversary. SZMC operates seven lines in Shenzhen, while the city’s Line 4 is run by a Shenzhen-based branch of Hong Kong’s MTR Corporation, reports EyeShenzhen. Phase Four of Shenzhen’s subway development plan was officially approved back in July 2017. The plan calls for the construction of metro lines 12, 13, 14, 16 and an addition to Line 6. Together, they'll add 148.9 kilometers of railway to the entire network at a cost of RMB134.45 billion (USD19.76 billion). Once Phase Four is completed in 2022, the city’s subway system will span an impressive 580 kilometers. The expansion is just one part of Shenzhen's long-term plan to create the longest subway network in the world, with 32 lines spanning 1,142 kilometers by 2030. Late last month, Guangzhou Metro released their own set of statistics on subway ridership in Guangzhou. 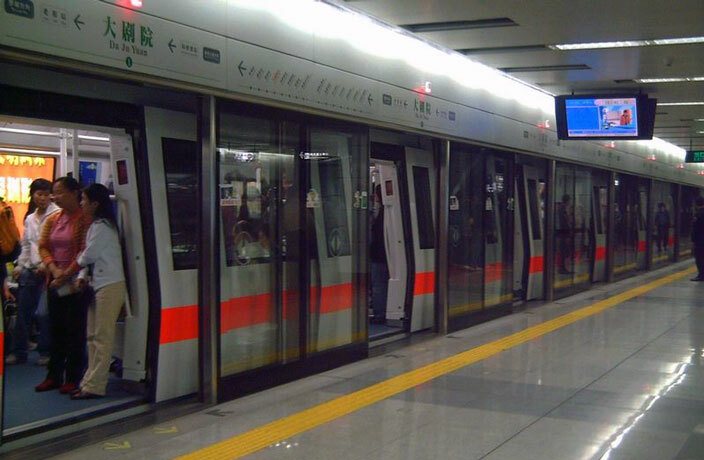 The stats revealed that a staggering 8 million trips are made daily on the Guangzhou Metro. From the start of the year up until July 25, 1.64 billion trips were made on the city’s expansive subway system, a 7.88 percent increase compared to the same period in 2017. The recently released statistics mark a new ‘trip record’ for the Guangzhou Metro. With files from Bailey Hu. Multiple roads in downtown Nanshan District will be affected by the construction on Shenzhen Metro line 12.